Cheesecake is a very popular dessert and one that most people have a go-to recipe for. Through the years I have tried recipes from friends, books and the internet. This basic recipe is the one that I come back to when I want to experiment. This time I added some peanut butter to the batter making a peanut butter layer topped by a creamy chocolate layer. I decorated the top with a chocolate sauce and peanut butter candies and only a sad little morsel of cake remained that night. One crust of your choice either graham cracker or chocolate cookie crust. Place 1 cup semi sweet chocolate chips and 2 Tbs. butter in small sauce pan on the stove, mix over low heat until melted and smooth. Let this cool a little. 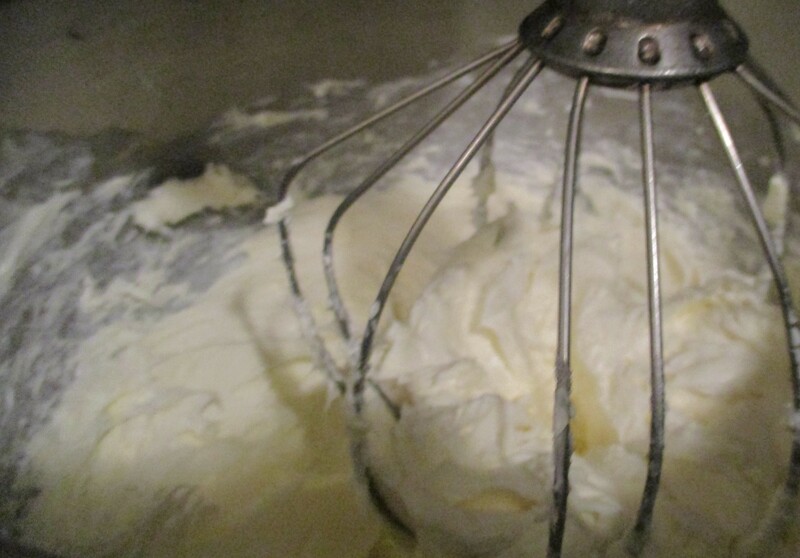 Place cream cheese in mixing bowl and whip well, slowly add sugar scraping bowl frequently until well mixed. Add eggs one at a time mixing well after each egg is added. Scrape sides to make sure all ingredients are well incorporated. This mixture should be fluffy and light. Divide cream cheese batter into two equal parts in two separate bowls. Add chocolate to half of the batter and mix in well. Mix 1/2 cup of peanut butter into the other half of batter, mix well. Using a large spoon or measuring cup, scoop out peanut butter batter and place around crust leaving spaces in between. 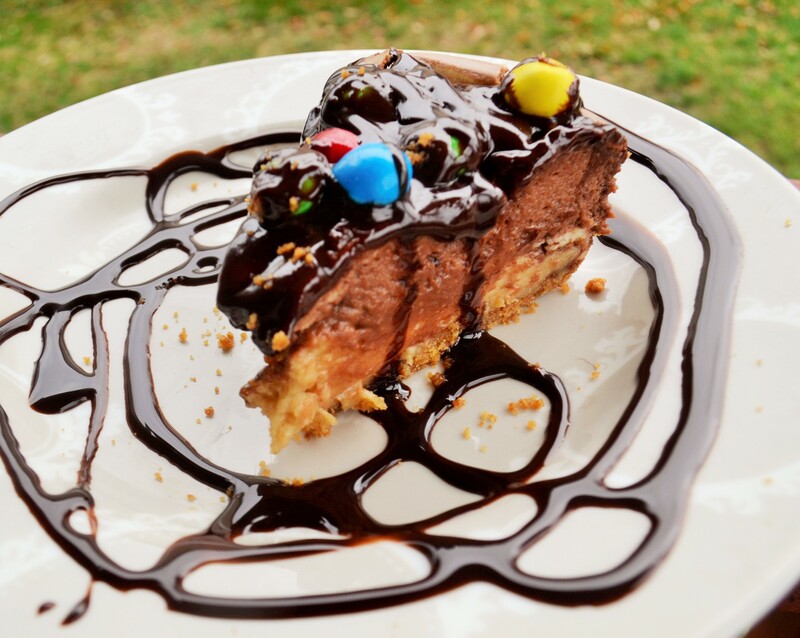 When you are finished with peanut butter batter, scoop up the chocolate batter and fill in the spaces around crust, top with remaining chocolate cream cheese batter and smooth out. There is a definite layer of peanut butter on the bottom with little bits of chocolate in the middle and a layer of chocolate on top. Place cheesecake in oven. Bake for approximately one hour. Remove from oven when done. Let cheesecake cool and then place in the refrigerator for several hours. In a sauce pan on low heat, melt 1 cup semi sweet chocolate chips and 1/2 cup heavy cream until smooth. Cool until warm and pour on top of cheesecake, top with peanut butter candies–this is optional. Place back in the refrigerator for 1 hour or until chocolate sets. Use a butter knife and go around sides of spring form pan to loosen edges of cake, remove spring form ring from cake. Refrigerate and serve.